Ford Fiesta a "worthy winner"
The Ford Fiesta has been described as a "worthy winner" after it claimed an award at this year's Fleet Honours. Named Best New Car, the model was praised for offering owners low running costs, high quality and good looks. 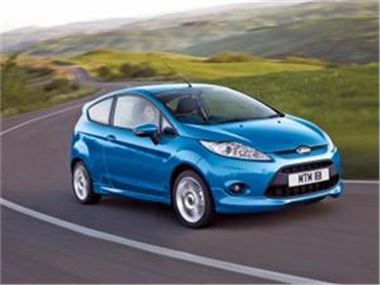 Chairman of the judges George Emmerson said: "The new Ford Fiesta is a worthy winner in a fiercely competitive sector." The ECOnetic version of the vehicle received particular praise in light of its success in helping buyers reduce their impact on the environment. It offers carbon dioxide emissions of 98 g/km, which judges claimed make it one of the greenest models in the family class. People buying the car will find the model's eco-friendly credentials mean it is exempt from road tax charges. Fleet World's managing editor, Ross Durkin, said all the companies that received accolades at the publication's latest event should be proud of their achievements in the current economic climate.